Briar Creek Photography provides your Picture Day services at no cost to your league. 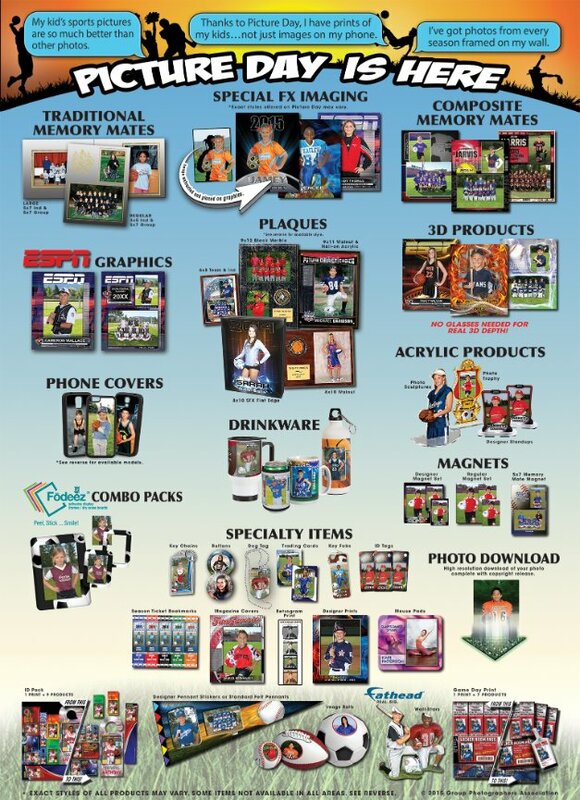 Families are given many options for purchase, from a single magnet to packages including a variety of items such as personalized buttons or trophies, ID tags and trading cards. We will work with your schedule to set a great Picture Day date for your league. Sports League photo products range from $6.00 to $75.00. Contact BCP for a full list of Picture Day item prices and learn what your team receives from us on Picture Day.